Leeds is located on the River Aire in West Yorkshire, England. It is the urban core and administrative centre of the wider metropolitan borough of the City of Leeds. The county borough of Leeds was awarded city status in 1893. Since 1974 city status has been held by the wider City of Leeds district. Thus Leeds, although commonly referred to as a "city", does not have this legal status unless the wider area is being discussed. Historically a part of the West Riding of Yorkshire, the recorded history of Leeds can be traced to the 5th century when the Kingdom of Elmet was covered by the forest of "Loidis", the origin of the name Leeds. During the Industrial Revolution, Leeds developed into a major industrial centre for the production and trade of wool, before emerging as a centre for commerce and higher education, being the location of the University of Leeds, Leeds Metropolitan University and Leeds Trinity and All Saints. Today Leeds is one of the largest financial and legal centres outside London. The name "Leeds" is thought to be derived from "Loidis", a word of Celtic origin. Bede wrote: "...regione quae vocatur Loidis" — region known as Loidis. This root also survives in the nearby place names of Ledston and Ledsham. Leeds was mentioned as "Ledes" in the Domesday Book of 1086, after which the name evolved into "Leedes" and finally "Leeds". Leeds was an agricultural market town in the middle Ages, and received its first charter in 1207. In the Tudor period Leeds was mainly a merchant town, manufacturing woollen cloths and trading with Europe via the Humber estuary. The population grew from 10,000 at the end of the 17th century to 30,000 at the end of the 18th. At one point nearly half of England's total exports passed through Leeds. At the time of the Industrial Revolution Leeds grew rapidly and the population rose to over 150,000 by 1840. The city's industrial growth was helped by the building of the Aire and Calder Navigation in 1699, Leeds and Liverpool Canal in 1816 and the railway in 1848. In 1893 Leeds was granted city status. The industries that developed in the Industrial Revolution included making machinery for spinning, machine tools, steam engines and gears as well as other industries based on textiles, chemicals, leather and pottery. Coal was extracted on a large scale and the Middleton Railway, the first successful commercial steam locomotive railway in the world, transported coal from Middleton colliery into the centre of Leeds. The first permanent set of fully automatic traffic lights in the world were installed at the junction of Park Row and Bond Street, Leeds, in 1928. By the 20th century this social and economic base started to change as Leeds saw the creation of the academic institutions that are known today as the University of Leeds, Leeds Metropolitan University and Leeds Trinity & All Saints. By day, the prosperous business centre offers a diverse range of working opportunities. The fast-paced, buzzing city centre is complemented by stunning local countryside, including the beautiful Yorkshire Dales, which lie within easy reach. There is also an assortment of flourishing local communities - from hidden gems in the inner suburbs to tranquil country towns on the outskirts. By night, Leeds really comes alive with its wide array of restaurants, bars, clubs and other entertainment. There is a broad range of cultural attractions, including renowned theatre, opera and ballet companies, with something to appeal to every palate. Sport remains central to city life, especially with the successes of the Rhinos in Rugby League and Leeds Carnegie in Rugby Union. The rugby sides share their home at Headingly Carnegie Stadium with Michael Vaughan’s Yorkshire County Cricket Club. Football fans around the world will be familiar with Leeds United and Elland Road. Owner Ken Bates is currently building the team up from its position in Football League One. Leeds has an extensive and diverse range of shops and department stores, and has been described by the Lonely Planet guides as the 'Knightsbridge of the North'. The diverse range of shopping facilities, from individual one-off boutiques to large department stores such as Harvey Nichols and Louis Vuitton outlets, has greatly expanded the Leeds retail base. The Victoria Quarter, several existing arcades connected together by roofing the entirety of Queen Victoria Street with stained glass, is located off Brig gate, Leeds' main shopping street. Other popular shopping attractions include Leeds Kirk gate Market, Granary Wharf, Leeds Shopping Plaza, Headrow Shopping Centre, The Light, The St John's Centre, The Merrion Centre Leeds, Birstall Retail Park and the White Rose Centre. In addition, there are also two proposed shopping developments, namely the East gate Quarters and Trinity Quarter, the former due to be anchored by John Lewis and a second Marks and Spencer store for the city. 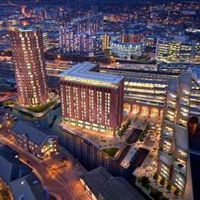 Leeds is vibrant city ideally located at the very heart of England. An extensive rail, road and air network makes travelling to Leeds both quick and easy. Leeds is a thriving, passionate city that you are sure to fall in love with. Rich in culture and heritage, it's a vibrant city with lots to discover and something for everyone to enjoy. Leeds has a very large student population, resulting in a large number of pubs, bars, nightclubs and restaurants, as well as a multitude of venues for live music such as The Cockpit, New Roscoe, Joseph's Well, The Brudenell Social Club, The Faversham, The Wardrobe, and The Fox & Newt which combine to generate a vibrant and nationally renowned nightlife. Leeds includes the original home of the pioneering club nights Back 2 Basics and Speedqueen. Leeds is home to a number of large 'super-clubs' including Oceana (Leeds), Discothèque by Gatecrasher, and Club Mission, but also a strong selection of independent clubs such as Hi-Fi, Space, Mint and The West Indian Centre, which hosts the now legendary 'Sub Dub' nights. The full range of music tastes is catered for throughout the city. Leeds also has a well established gay nightlife scene. The Bridge Inn and The New Penny, both on Call Lane, have long been gay night spots. Queen's Court offers a similar experience to its London counterpart Rupert Street. Other more recent additions such as Bar Fibre, on Lower Briggate and Mission offer more contemporary 'straight friendly' environments, along with The Viaduct and Blaydes just across the road. During the summer months the secluded courtyard that lies between Bar Fibre and Queens Court transforms into a lively beer garden. The refurbished Warehouse venue is now also home of the alternate Saturday club nights Technique/Asylum. Towards Millennium Square and the Civic or Northern Quarter, is a growing entertainment district thriving on both students and weekend visitors. Millennium Square has many bars (including amongst others popular chains Jongleurs, Tiger Tiger, Revolution and Ha!Ha! ), various upmarket restaurants and large outdoor screen mounted on the side of the Civic Theatre. Millennium Square also plays host to many large seasonal events such as Earth From The Air, IceCube (Europe's largest outdoor ice rink), Christmas markets, Gigs and Concerts, citywide parties and the world famous Rhythms of the City Festival. Millennium Square is adjacent to the Mandela Gardens, which were opened by Nelson Mandela in 2001. A number of public art features, fountains, a canal and greenery can be found here as an oasis amongst the city centre excitement. Leeds is a city famed for its shopping, but which offers so much more besides. With some great hotels supporting a vibrant nightlife and some interesting tourist attractions, most of which are free, Leeds is well worth a visit. Through Leeds you can also access Yorkshire’s spectacular dales and countryside. Leeds City Centre is one the most vibrant and affluent in Europe. Leeds boasts a lively arts, sports and entertainment scene along with internationally renowned shopping malls, hotels, and galleries. Leeds has a wide range of restaurants, several of which are award winning. From the shopping in the Victoria Quarter and The Light, to the bars and cafes in and around The Corn Exchange/Call Lane, Leeds offers a high-quality standard of living and entertainment for all. Headingley was an Anglo-Saxon settlement, first mentioned in the Domesday Book as Hedingelei or Hedingeleia in 1086, but possibly dating back to the 7th century. The name probably means "clearing of Hedda's people", Hedda sometimes being identified with Saint Hædde. However, a stone coffin found near Beckett Park in 1995 suggests there may have been an earlier settlement in late Roman or post-Roman times. In Viking times, Headingley was the centre of the wapentake of Skyrack, or "Shire Oak". The name refers to an oak tree that was used as a meeting place for settling legal disputes and raising armies. An ancient oak, said to be the Shire Oak, stood to the north of St Michael's Church until 1941, and gives its name to two pubs, The Original Oak and The Skyrack. Headingley continued to be a village until the expansion of Leeds during the industrial revolution and became a popular suburb where the rich moved to escape the filth of the main city. In 1840, it became the site of Leeds' Zoological and Botanical Gardens. Despite the opening of Headingley railway station, serving the gardens, in 1849, the zoo was a loss-making venture and closed in 1858. The bear pit still survives and can be seen on Cardigan Road. To the east of the village, now suburb is the Meanwood Beck which was a source of water for the early inhabitants of the village as well as a source of power for the Victorians of Leeds. The area has a history of student inhabitation, with Leeds Metropolitan University having a campus at Becket Park in Headingley. Much of the housing around Kirkstall Lane is rented to students. Throughout Headingley's modern era, the Rugby and Cricket stadiums have been significant in the fabric of the area, a major England test match or a Rugby League derby brings many spectators to the area. Leeds is without a doubt one of the most vibrant cities in the UK. It hosts a wide range of theatres, cinemas, restaurants and extensive shopping facilities to rival anything outside London. Leeds has everything you need. Due to its high ratio of quality bars, pubs and restaurants Headingley is fast becoming the location of choice for many. Headingley provides all the amenities that you would normally find in many city centres throughout England. It has a host of premier restaurants that include Ferret Hall Bistro, Salvos and The Arc along with both Dare and Citrus cafés. Headingley also has its own shopping centre, the Arndale Centre, which incorporates Safeway's, Superdrug, Greggs and KFC. Many other shops are dotted all over the area. Headingley also takes pride in its two historical cinemas, The Lounge and Cottage road cinema, which are both within walking distance of Safeway's. Headingley is like a small town with all the convenience you could need. There is also a diverse range of properties from stone built terraces to large detached properties, which is why it is so popular with families, locals, students and young professionals. Over 75% of all students live in Headingley, Hyde Park or Woodhouse, probably because of the proximity to the universities and the city centre and it's nightlife. Headingley also has a range of different pubs to suit all tastes from those whole like real ale to more cosmopolitan tastes, they include The Original Oak, Headingley Taps, The Skyrack, Woodies, The Arc and The Box to name but a few. In addition it is home to Headingley Stadium, which is home to Yorkshire Cricket Club, Leeds Ranchos Rugby League Club and Leeds Tykes Rugby Union Club. So there is plenty of sporting action to keep an eye on, right on your doorstep. Hyde Park is an inner-city area of north-west Leeds, West Yorkshire, England, situated between the University of Leeds and Headingley. It is mainly in the Hyde Park & Woodhouse ward, though some areas of what is often considered to be Hyde Park lie within the Headingley Ward. The area is in the centre of the city's student community. Being next to Headingley, a large student community, Hyde Park is now an established alternative student district. Alongside the students it also has a sizable South Asian community. The area contains two mosques and one Hindu temple alongside outlets primarily catering for the student population there remain a number of smaller shops selling largely traditional South Asian goods. This arguably lessens the impact of studentification, though some community groups do consider this to be a problem and tension exists. Hyde Park is the home of the Hyde Park Picture House, an independent, historic, art house cinema. The Royal Park, on Queen's Road, is a large pub with a downstairs gig venue, popular with the student population, and next door stands the Brudenell Social Club, a members club which has recently taken on a new role as a venue for local and underground music. The area is also home to the Hyde Park Social Club, a members-only pub. Hyde Park is positioned very close to the Universities as well as being just a 5-minute walk from Headingley. Its centre is located at Hyde Park Corner where a wide variety of shops and cafes can be found, these include the Clock Café, Sugar Shack and the recently refurbished Hyde Park Pub. Hyde Park is extremely proud of its very historical Picture House, which has been showing films and stage performances for more than 100 years. With its wide range of convenience stores, take-aways and pubs Hyde Park offers an ideal location for those who want quick access into Leeds as well as having many of the luxuries Headingley has to offer. The majority of residential properties in the area are late Victorian and Edwardian back-to-back brick terraces or face onto wide streets with communal access alleyways at the rear. A small area of 1970s council housing lies between Hyde Park Road and Woodsley Road, these replaced terrace housing demolished due to slum clearance. Main roads are cambered and some still retain original Yorkstone pavements and iron guttering. Nowadays a large number of houses in Hyde Park are owned by private landlords due to the area's proximity to the city's colleges and universities. Woodhouse is an area of largely back-to-back terraced housing in inner city north-west Leeds, West Yorkshire, England, and is home to the University of Leeds. The area climbs a hill rising from Woodhouse Moor, adjacent to the University of Leeds, and backs onto woodland known locally as The Ridge. This forms part of the Meanwood Valley Trail, a route frequented by the 19th Century Leeds painter John Atkinson Grimshaw, and which now forms part of the Dales Way link, meeting the main Dales Way long distance footpath at Ilkley. Woodhouse is a largely working-class area, with a racially diverse population and a sizeable student community. Woodhouse is increasingly becoming a very popular choice for those who want to be very close to Leeds centre. Over 75% of all students live in Woodhouse, Headingley and Hyde Park. With both Universities only a 5-minute walk away, many students now want to live in this area. Woodhouse is also extremely close to Hyde Park Corner, which offers great transport links and a wide range of shops and cafes, including the Hyde Park pub. Woodhouse Moor is an open space approximately one mile (1.6 km) from Leeds city centre, West Yorkshire, England. Today it consists of 3 parts: a formal park, Woodhouse Moor (sometimes referred to as Hyde Park, of around 26 hectares in area on the west of Woodhouse Lane (the A660), and two other open areas on the east of it. These are known as the Monument (or Upper) and Cinder (or Gravel, or Lower) Moors which are used for events such as circuses and sporting matches, and sometimes car parking. Woodhouse Moor is north-west of Leeds city centre and is bounded by Woodhouse, the University of Leeds, Burley, Hyde Park, and Headingley. 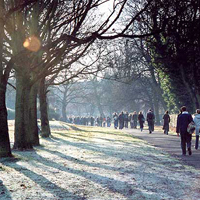 As of 2005 the park had just fewer than 3 million visits a year and is the second most popular urban park in Leeds. The park has five main paths which meet in the centre, each is tree-lined and they divide the park into different areas of usage. The park was once part of a much larger moor of the same name, including land now occupied by Leeds University. As high position above Leeds, it has been a military rallying point, and Rampart Road is named after the ramparts which were once there. During the English Civil War, in 1642, Parliamentary forces led by Thomas Fairfax massed on Woodhouse Moor before taking Leeds from the royalists. The land was acquired by Leeds Corporation for the sum of £3,000 on 19 May, 1857. Clarendon Road, which runs alongside Woodhouse Moor, used to be Reservoir Street because of a reservoir belonging to Leeds Corporation Waterworks. The reservoir was begun in 1837, after cholera epidemics swept Leeds in 1832, and was covered over in 1863. Two stone lodges were built alongside the reservoir in 1840; one still stands (behind the gardener's cottage near the Victoria Monument); the other was converted into an observatory in 1906, and subsequently demolished. In 1858 Queen Victoria, in Leeds for the opening of the Town Hall, visited the Moor and listened to 26,000 Sunday School children sing hymns as the teachers tried to control them using placards with instructions such as 'Prepare to Cheer', 'Sing', 'Silence', and 'Dismiss'. The road north of Woodhouse Moor Park is called Hyde Park road, indicating the former name. As with Hyde Park, London this was a place where crowds would gather to hear public speakers, on specially built platforms. In the beginning of the 20th century, there were extensive pleasure gardens and features such as a bandstand and (from 1919) a First World War tank. With the Second World War, the tank was melted down and the Moor given over to more utilitarian purposes such as air raid shelters and allotments (some of which still exist). 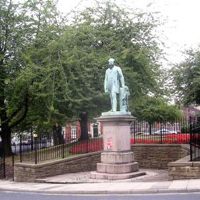 In 1937 some statues were moved from the centre of Leeds, to the Moor, including those of Queen Victoria and Sir Henry Marsden. The area has a smaller student population than do the surrounding areas of Headingley and Hyde Park. It has few pubs or bars, perhaps due in part to the methodism of the one-time landowner in this area. However, there is a large cinema and restaurant complex at Cardigan Fields Leisure Park. Yorkshire Television and Radio Aire broadcast studios and the Home Office's Immigration offices are all located on Kirkstall Road in Burley. 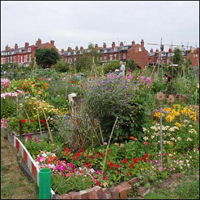 A feature of the area, which gives the area a large part of its identity and character is Burley Model Allotments, which is right in the heart of Burley. The site, numbering over 100 plots in all and bisected by a road, was once a quarry. The allotment gardens have existed since 1911. The Student Property Shop area guide is here to help you get accustomed to the main residential areas in Leeds. Whether you want to find out about the type of bars and pubs in Headingley, your nearest bistro in Chapel Allerton or what the area is like in general you should find our mini guides useful. Burley is ideally located for excellent routes into Leeds city centre and the Universities mainly due to Burley Road. However, if you don't have a car the area has its own rail station (Burley Park Station) which is a 6 or 7 minutes train ride from the city centre. Not only does Burley have great transport connections but it is also home to the superb Warner Village complex which hosts a large cinema complex, a Virgin Active gym, a bowling alley, the Evolution club, along with many different restaurants in and around the immediate area. Not to be missed. Kirkstall is a suburb of Leeds, West Yorkshire, England, and is located on the eastern side of the River Aire. To the west is the suburb of Bramley, the easterly suburb is Headingley and the northerly one is West Park. Kirkstall is around 2 miles out of the city centre and is becoming an increasingly popular area for Leeds' student population to live, with its proximity to the University of Leeds and Leeds Metropolitan University. Its main tourist attraction is Kirkstall Abbey. 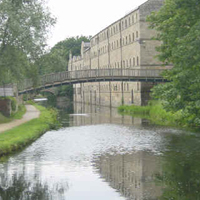 Kirkstall is based just outside Leeds and is a busy area. It is characterised by terraced housing and semi detached properties at affordable prices. In recent years it has acquired a busy shopping area with a large Morrisons supermarket, Boots and other retail stores. It is also home to Leeds Rhinos and Leeds Tykes rugby club training academy. If you are feeling active there is a leisure centre that offers a swimming pool and gym. Further down the Kirkstall Road towards Leeds there is the Warner Village complex. This hosts a large cinema complex, a Virgin Active gym, a bowling alley, the Evolution club, along with many different restaurants in and around the immediate area. Its most famous landmark is Kirkstall Abbey, which is situated close to the River Aire. It is now a ruin but is used in the summer to host outdoor plays such as Midsummer's Night Dream. It also has a network of paths surrounding the abbey, which gives local residents a green haven amongst all the houses. In and around Kirkstall there are plenty of local pubs, restaurants and takeaways and there are regular buses into Leeds city centre. Meanwood is a residential area about 1.5 miles outside of Leeds that has enjoyed some rejuvenation in recent years. There are many terraced houses as well as some new housing developments, which have appeared in the last 5-10 years. It is still an affordable area of Leeds although house prices have risen in recent years. Although it is a suburban area Meanwood benefits from a belt of green land which includes Meanwood Valley Nature Reserve. The central features of the valley are the dominating becks and extensive surrounding woodland and the rangers regularly organise a range of events for youngsters in the area. In addition Meanwood Valley Urban Farm is a city farm of 14 acres, which is home to some organic gardens as well as sheep, horses, goats, and a whole host of other animals. There are plenty of shops, takeaways and local pubs and restaurants in Meanwood and the area is serviced by excellent bus routes into Leeds city centre. Leeds is recognised internationally as a leading centre for learning, with a total student population of over 200,000. Voted 'Best university destination in the UK' by The Independent, our city has two universities of international renown – the University of Leeds and Leeds Metropolitan University, with a combined total of 124,000 full and part-time students. Leeds Metropolitan University is located in Leeds in West Yorkshire. It has a smaller campus in the North Yorkshire town of Harrogate too. It was set up in 1824 and become a university in 1992. It is one of the largest universities in the UK with over 52,000 students in 2007. It also doesn't charge the full tuition fee rate, instead charging its students £2000 a year from September 2008. Leeds was voted 'Best university destination in the UK' by The Independent, the city has a combined total of 200,000 full and part-time students. Leeds is flourishing as a cultural centre, and the thriving student community is testament to this. The city's safe friendly environment, fantastic nightlife and comparative affordability make it the ideal location to live and learn. Leeds is recognised as the regional capital of Yorkshire and the Humber, an area with a population of five million, similar to that of Scotland or Denmark. Leeds Met’s ‘Carnegie’ sport facilities are among the best in the Country, including the Regional gymnastics high performance centre, swimming pool, dance studio, strength and conditioning room, synthetic turf pitches, external acrylic and clay tennis courts, a variety of grass sports pitches- rugby & soccer, International standard athletics track, Strength and conditioning room, squash courts, high quality indoor tennis courts, Health clubs at the Headingly and Civic Quarter Campuses, two sports halls and a climbing wall Super League Netball Hall. Leeds Metropolitan University Students' Union operates out of offices at both the Beckett's Park and Civic Quarter Campuses. It is an award winning provider of entertainment in the city of Leeds with the cities' second biggest gig venue playing host to bands such as The Kaiser Chiefs, The Fratellis and We Are Scientists. The Union runs three bars, with one at each site and another at the Kirkstall Brewery halls of residence, a Student Advice service as well as being a major source of volunteers working in the local community. The University of Leeds is acclaimed world-wide for the quality of its teaching and research. One of the largest universities in the UK, Leeds is also the most popular among students applying for undergraduate courses. An emphasis on innovative research and investment in high-quality facilities and first-rate infrastructure means that no fewer than 35 departments are rated internationally or nationally 'excellent'. Its size and international reputation enables the University to offer one of the widest ranges of academic courses in the UK. During the current academic year over 32,241 students are attached to 700 different first-degree programmes and 474 postgraduate degree programmes. A further 32,062 men and women are enrolled on short courses with the University. The student union, located at the centre of the campus, is often regarded as one of the very best in the country. Once you've experienced all it has to offer it isn't hard to see why! Two bars, three nightclubs, a theatre, concert hall, a mini supermarket, various other shops, a salon, a cafe can all be found in the union here, amongst other things! There are many exciting concerts that take place in the Leeds University Union. This is a one-hundred acre campus sited in the beautiful surroundings of Beckett Park, Headingley. The oldest property on this site is the Grange, a farmhouse dating from 1752 and once occupied by John Marshall. In the 1990s the University closed existing Halls of Residence on campus, converting the units to lecture theatres and teaching facilities. In November 2007 the University obtained planning permission to build an "Olympic village" of student accommodation on the campus. In 2006, the Campus extended beyond the confines of Beckett Park to include the Carnegie Stand at the Headingley Carnegie Stadium. This dual-purpose stand can accommodate more than 4,500 spectators whilst also providing twelve teaching rooms and a room with the capacity of 300. Beckett Park is an area of and a large park in Leeds, West Yorkshire, England. It borders on to Headingley, West Park and Kirkstall. Queenswood Drive, the main thoroughfare through the district, runs from the south at Kirkstall Lane and continues right up to Spen Lane on the edge of West Park, The lengths of this road is just under 1 mile. This is where Leeds 6 (LS6) meets Leeds 16 (LS16) postal districts. Leeds Trinity & All Saints is an accredited college of the University of Leeds offering degrees and diplomas in areas such as media, business, marketing, education, humanities, psychology and sport. The college often uses the shorter name Leeds Trinity. Trinity & All Saints began in the early 1960s when plans were laid to provide two Catholic teacher training colleges for Yorkshire. Trinity College for women and All Saints College for men opened on the same Horsforth site in 1966. The two colleges merged in 1980. In 1974 the range of degrees was widened to include professional studies in Management and Media. During the 1990s postgraduate provision was extended beyond Education to Journalism, Victorian Studies and research degree opportunities and a number of single honours academic programmes were launched. In 1991 Trinity & All Saints was designated a College of the University of Leeds, and established a formal accreditation agreement with the University in 2001. From its inception, Trinity & All Saints has offered degrees and certificates of the University of Leeds. Trinity & All Saints was one of the first institutions in the region to deliver Higher Level Teaching Assistant courses and also operates the Leeds School-Centred Initial Teacher Training programme. Trinity & All Saints hosts the Yorkshire and the Humber Comenius Centre (promoting languages in schools), the Schools History Project and is part of the North Leeds Networked Learning Community. Trinity and All Saints also house a thriving Students Union, Leeds Trinity Union (LTU). Trinity & All Saints is home to the Centre for Journalism (CfJ) which offers postgraduate degrees in print, radio and bi media journalism. The CfJ has strong links with the major local news organisations, and for example. The media centre at Trinity & All Saints has full TV and radio studios, including an ISDN link; use of these facilities and the assistance of media staff are available to the public by arrangement. Leeds is a thriving city, with something for everyone. It's regarded as a Mecca for shoppers, drinkers and diners. New, innovative places spring up constantly. Here's one way you could spend the day seeing what all the fuss is about. Leeds has arguably one of the best clubbing scenes in the country packed into a compact metropolis that defies even the most discriminating clubber not to find something to take their fancy. Whatever floats your musical boat you will find it in one of the dozens of nightclubs or hundreds of bars in the city centre? There is an abundance of mainstream clubs for those whose main objective is unabashed fun! Creation is Leeds’ largest nightclub and offers three areas of music under one roof – Commercial Dance, Cheesy Chart and RnB. It would be difficult to describe every club in Leeds in detail, so get out there and see for yourself what’s on offer. The beauty of clubbing in Leeds is that nobody seems to mind if you are getting down to funky soul one day, falling over to cheesy party tunes the next, then bouncing around to hard house the day after that. Whatever your idea of clubbing may be, you are sure to find somewhere in Leeds to do it and plenty of people to do it with. The Corn Exchange also designed by Cuthbert Broderick, is one of Britain’s finest Victorian buildings. Restored in the late 90s it now houses a variety of shops and cafes. The Victorian Quarter is not to be missed, original shop fronts, restored and retaining many original features, all enclosed under a modern stained glass roof. The Edwardian Kirk gate Market, another of the city’s historic buildings, offers a wide variety of stalls in the city centre. Leeds has many fine Hotels, both modern and traditional. Restaurants, Brassieres and café-bars, to enjoy international cuisine, or sample traditional English fare at the original ‘Harry Ramsdens’ just a few miles out of town. There are a variety of clubs and pubs, many with live music from a variety of cultures. The Grand Theatre is home to Opera North, where you can see ballet, west-end musicals and all that is best in the performing arts. The Civic Theatre, the famous City Varieties Theatre, and in complete contrast West Yorkshire Playhouse, new, innovative and worth checking out. For sports enthusiasts - there are seven golf courses, a large variety of Leisure Centres, squash, swimming pools, a tennis centre there is 'sport for all' at South Leeds Stadium and Headingley is the home of Yorkshire cricket. Leeds is at the gateway to the Yorkshire Dales; take 'The Dales Walk' from Leeds and enjoy some of the finest countryside in the north of England. Sadly, we've come to the end of our Leeds tourism guide. If you require further info, please telephone your local tourist info centre, who will be pleased to help you.